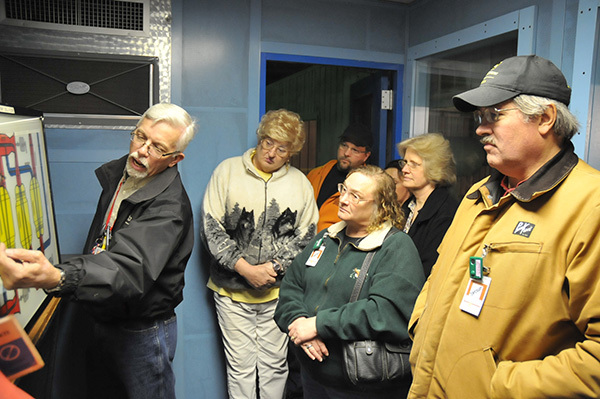 For the eighth consecutive year, the U.S. Department of Energy and Fluor-BWXT Portsmouth have announced a special opportunity to participate in a limited number of monthly public tours of the former uranium enrichment facility in Piketon. 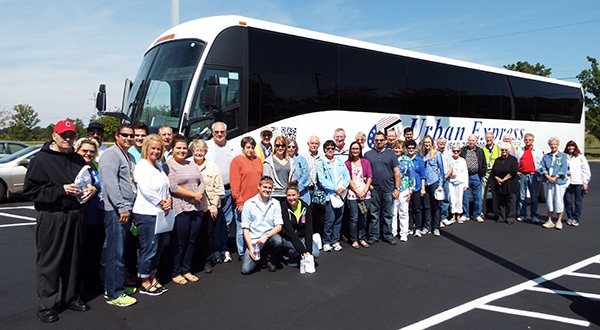 With the continued popularity of the general public tours that began in 2012, additional tours have been scheduled from April through October 2019. Participants will enjoy a guided history tour of the site and get a close look at activities on the site. All of the tours, with the exception of April, will be held on the third Saturday of each month. April’s tour has been rescheduled to the fourth Saturday due to Easter weekend. The time frames for the tours begin with security badging at The Ohio State University Endeavor Center from 8:30 a.m. to 9:00 a.m. on the morning of the tour. A brief welcome and instructions are given before everyone boards a charter bus for the historic tour. Participants will return to the Endeavor Center at noon. The plant, located in Piketon, Ohio, was one of only three gaseous diffusion plants built in the United States in the early 1950s to serve our country’s defense and energy needs. It operated for nearly five decades and thousands of workers have passed through the security gates over the years. To register for the tours please click the link below. If no internet access is available, individuals may call Deneen Garner at 740-897-2609, Monday through Thursday, 7:00a.m. to 6:00p.m., for assistance. Seats are limited and participants may reserve only one tour date per year. Seats are filled on a first-come, first served basis. Larger groups must be registered by calling Deneen Garner at 740-897-2609. A waiting list is maintained and you will be notified by email should a seat become available. If you would like more information on public tours, please call Deneen Garner at 740-897-2609, Monday through Thursday, 7:00a.m. to 6:00p.m. For directions to the Endeavor Center, please click here.